I have a Ninja Blender but any blender would work fine. 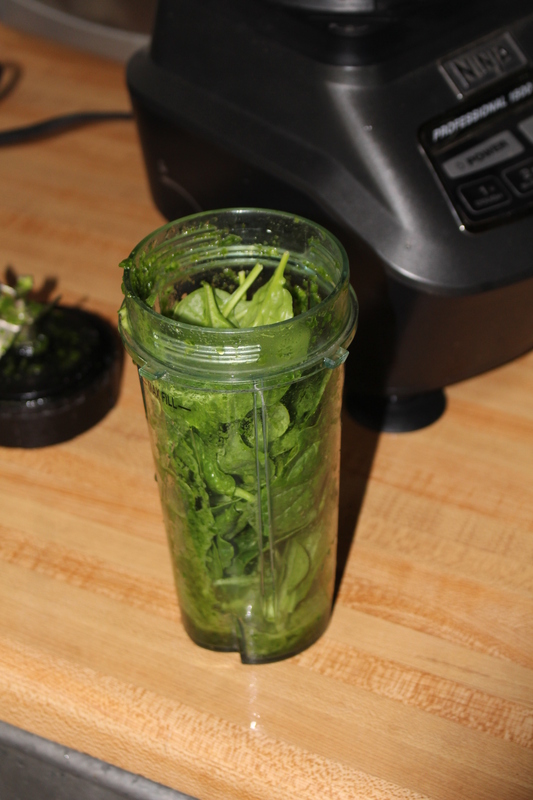 Just add the greens to the blender cup, add enough liquid to get it spinning (it usually doesn’t take much), & mix it up. 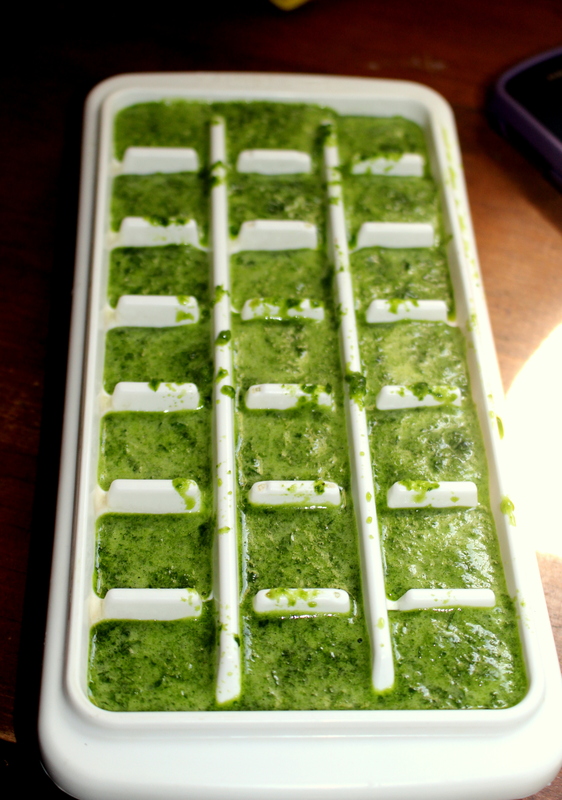 Once you mix them up, pour them into some ice cube trays and put them in the freezer. 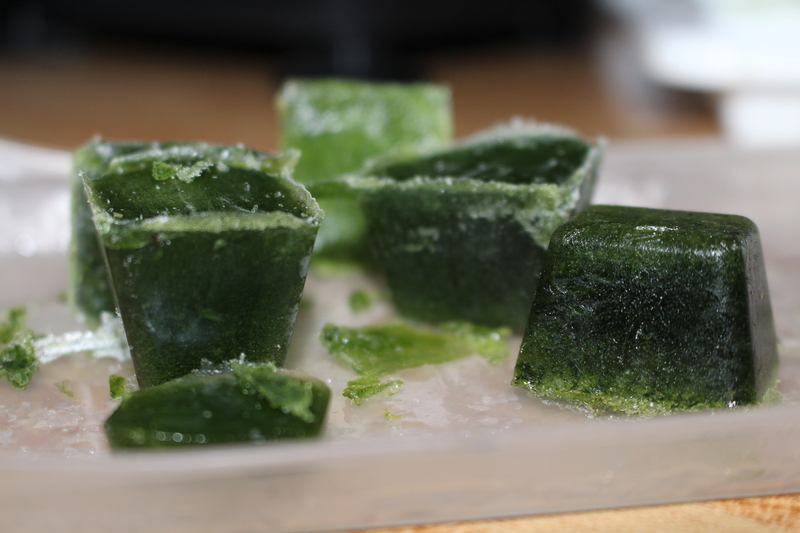 Frozen veggie cubes! Sometimes I leave them in the tray or you can pop them out into a freezer bag. Whatever works! It’s such a great way keep from throwing out your bad greens and you will definitely save some of that other green too!